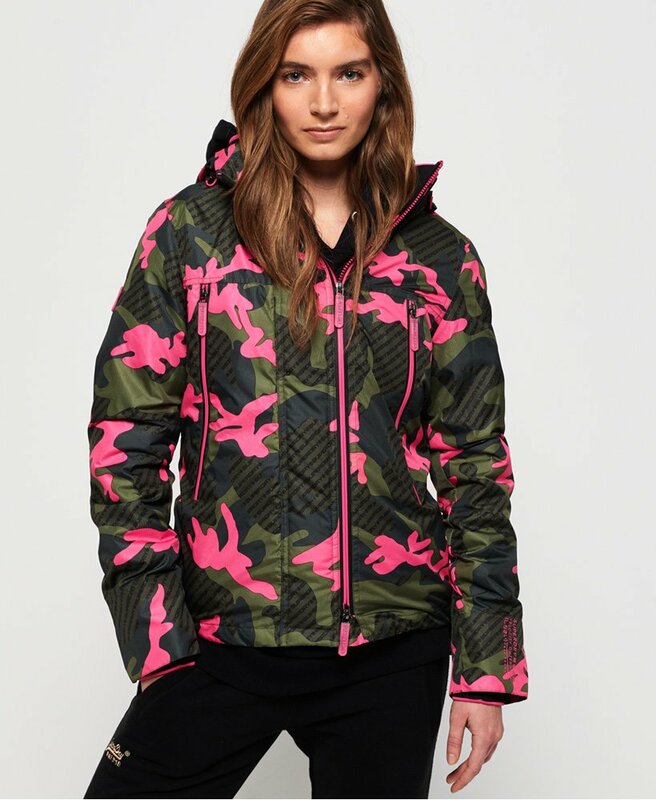 Superdry women’s tech print Velocity SD-Windcheater. For a lightweight jacket this season, look no further than the velocity SD-Windcheater. This is part of the iconic Wind family, known for its high quality reputation. It features a double zip fastening with branded zip pills, a bungee cord hood, two external zip pockets and one internal zip pocket and ribbed cuffs with thumbholes. To decorate, this jacket also has a Superdry badge on the arm and a Superdry logo on the cuff and above the hem. This is a great everyday jacket and can be thrown on over a variety of wardrobe staples.